On a Friday night, twenty-eight years ago a 10 year old boy was sitting in his room when his mother called him out to the kitchen. It was late on an August night; perhaps 10:30pm. She called him into the kitchen because there was a series on TV she had never seen before. It was a strange mix of historical and sci-fi and she knew her son might be interested in seeing it. The series this young boy started to watch was Doctor Who and the story he found himself watching was The Visitation. Purchasing this title from the links above directly helps my site! Obviously this story is about me. When my mom called me out to the kitchen, walking into the room I had no idea my life would change forever. For most fans, I am sure The Visitation may not be the story that they would use to introduce prospective new fans to the series but maybe they should. I think for me I was taken in by the visuals. All the costumes were strange and colorful. I fell in love with the Police Box that looked so rickety yet held so many secrets. I enjoyed the idea of younger people getting in trouble and needing rescue; I thought I could identify with it. I thought Peter Davison as the fifth Doctor was amazing and still is a favorite to this day. Then there was the Terileptil. I suppose this is probably where readers might think I am going to give this poor creature a bashing. That would be a wrong and horrible thing to do. To this day, I find the Terileptils one of my favorite alien races in Doctor Who. People seem to forget that Doctor Who isn’t the only series that had dodgy effects in the history of television. I had been watching all sorts of programs that had unconvincing effects long before that fateful Friday night. Anybody ever see Land of the Lost? So, to be honest, I was completely impressed by the Terileptil. Even though it was a mask, his face moved and he didn’t go “roar”! The Terileptils were smart and they admired beauty. The lead Terileptil would speak with eloquence and softness yet could switch instantly to rage. Kind of like me. This story takes us to 1666 where we start off with the Squire’s family. We find them living their lives on a warm evening. The Squire’s daughter Elizabeth notices amazing lights in the sky. It was really something to see but it is not long before trouble visits the Squire’s home. Some unseen entity is attacking their home. The intruder is firing lasers and hits their servant Ralph. Suddenly this warrior clad in colorful armor breaks into the home. The Squire, his daughter Elizabeth and his son Charles take up arms and fire on the warrior. This is a great sequence because it is obvious they will not survive yet they fight valiantly. We don’t see anyone fall or even get injured. They are fighting and the scene fades into something else. We get a view of the empty house. It’s actually pretty powerful because it confirms the belief that they did not make it out alive and they died fighting for their lives. It is also something when we get a real sense of what type of people these characters are in the first five minutes of the story. We get some nice comical moments such as Ralph annoying the Squire just for speaking to him with bad breathe. We see that Charles and his father probably argue much as Charles is pretty easily exasperated by his father. We get a lot of inter-workings of this family but they are gone from the story. Never to be seen again. What a powerful start to The Visitation! Meanwhile, the Doctor is trying to get Tegan back to her own time so she can resume her job as an air stewardess. Regardless as how the Doctor tries to get her back to where she belongs, he gets her there a little early; like 400 years too early. 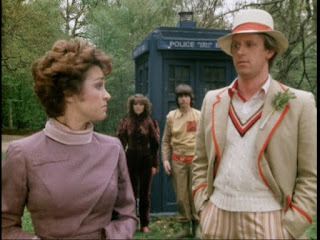 Tegan throws a wobble and storms out of the TARDIS. Thankfully for us, the human race, she did because Great Britain is in the middle of what is known as the Great Plague. 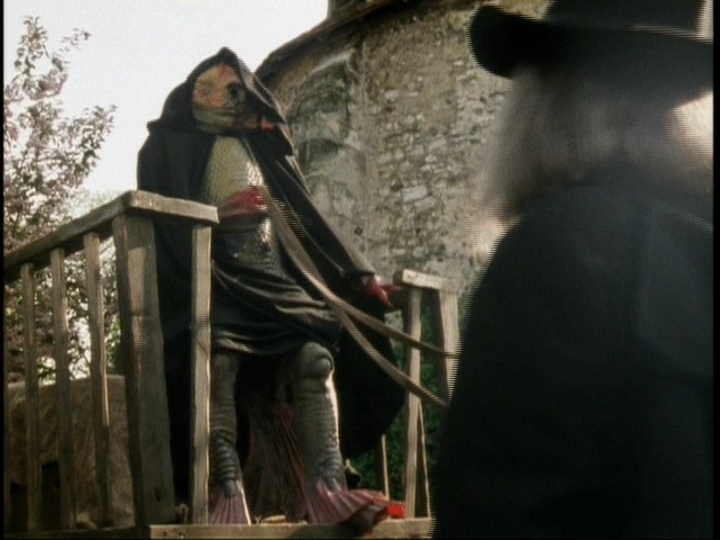 The plague ran rampant though England from 1665 to 1666 just when this story takes place. In total, around 100,000 people die from this disease. 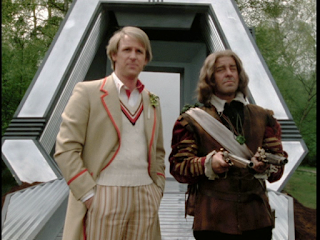 The Doctor and his companions are now in the middle of it. Apart from the tell-tales signs of the plague such as villagers creating purification fires, there is something more menacing going on. Villagers are leery of strangers during the plague but these villagers are physically harmful; they are being controlled. 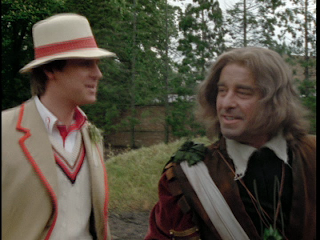 Luckily the Doctor meets with an actor who has turned highway robber, Richard Mace. 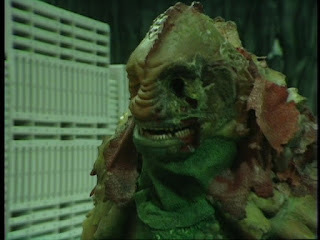 Mace is simply a wonderful character who is friendly and very helpful to the Doctor and his friends. The Doctor notices that Mace is wearing alien technology. In a barn that Mace has called “home” for a few nights, Nyssa discovers alien power packs. 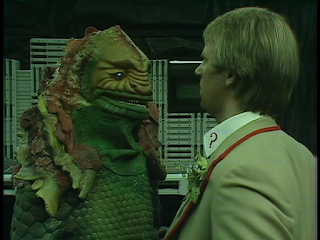 Suddenly things are starting to become more interesting as the Doctor is putting together the mystery. Mace tells him about the strange lights in the sky from the other night, strange goings on at the Squire, the fact the power packs survive some kind of crash points to the distinct possibility that an alien may have survived……. The alien is a Terileptil. As I mentioned above I have a wonderful soft-spot for this truly intelligent and articulate (in words only) creature. The one that is in the Squire’s house has made a base in the basement while his two companions are in London. They have a plan to make history a lot more deadly using the plague as a means for genocide. They need a planet for themselves and humans are not invited to join in. This is a very slick and polished production from the 1980s. I honestly don’t look at it and think how badly this has aged. I am sure I am watching this through rose-tinted glasses but really this whole production is strong. This story is like a Reese’s Peanut Butter cup. It’s just like the old commercials where two people are walking down the street, one with chocolate and the other with peanut butter. They bump into each other and the one says, “hey you got your chocolate in my peanut butter” while the other says, “you got your peanut butter in my chocolate!” The Visitation is the same way, “You got your Sci-Fi in my historical BBC drama!” while the other is saying, “You got your historical BBC drama in my peanut butter…..err I mean Sci-Fi.” The historical drama is one of the things the BBC does best, especially in the 1970s. To me, this is executed flawlessly. The costumes look great, the historical sets look fine to me but I am no expert. I found the whole thing to be authentic….at least authentic enough for me. Production side for the Sci-Fi element is simply a triumph. Everything Terileptil has a sweet green light and ambiance to it. The Terileptils control room at the Squire’s house is alien but effective. I love how it is built into rock so you can see rock and also alien technology. It is bliss! I think the Terileptil escape pod is brilliant too. It is so well lit and wonderful. It looks outstanding. The director would have to be careful shooting on that particular set because of the lighting. 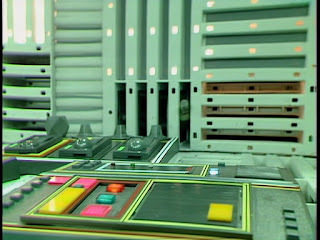 The old tube cameras used would burn the light pattern to the screen so as much light as there was on that set, it needed to be avoided as much as possible. 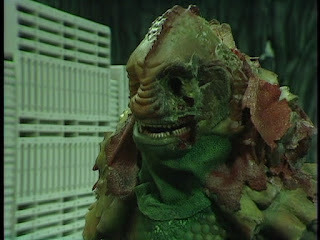 As I mentioned above, the Terileptil costume was a triumph for the series at that time. The movement of the Terileptil’s face was ground breaking for its time. As mentioned by Eric Saward in Writing a Final Visitation, he wished that Michael Melia voice, the Terileptil’s voice, didn’t sound so much like he was speaking through a mask. I understand what Eric is saying but I feel like the interaction between the Terileptil and everyone else was more natural. 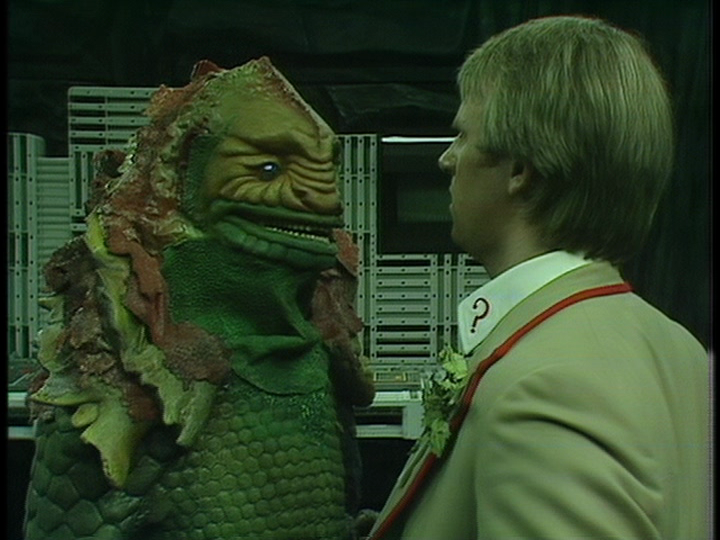 For example, the modulated voice of the Silurians in Warriors of the Deep is stilted and horrible which makes me happy they didn’t go that route. One of the things that really piqued my mom’s interest into calling me in the kitchen to watch was the colorful costumes. She thought Davison’s costume was unique, we had never seen a Cricketer’s costume before, but more so the Android. She thought that was great. I agree it was pretty cool but I really liked it when the Android was disguised as Death. The scenes with the Android disguised as Death wandering through the greenery made a wonderful contrast between the lush living forest and the crushed black of Death itself. It is wonderful imagery that sets this story apart from so many others. This story has some of the best guest artist in the series. It starts out with John Savident. 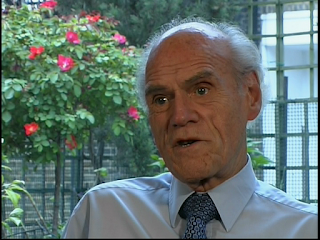 He is best known for being in Coronation Street playing Fred Elliott. 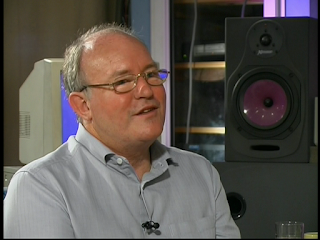 He is a known name in television in the UK. When I got to know who actors were by watching a lot of British series, I really struggled to remember seeing him in the story. In fact, it took me years to realize he was the Squire at the beginning of the story. It is a great performance but he is only in it for 5 minutes. Michael Melia is noteworthy as the Terileptil. 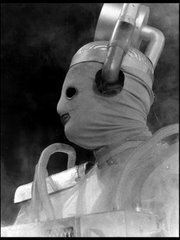 With his voice and Eric’s script, it transforms a man in a rubber suit from a monster to someone unique and real. One does not want the Terileptil to destroy the human race but one sympathizes with his plight. The real highlight for me is Michael Robbins as Richard Mace. I think Mace is one of the best guest characters ever in Doctor Who. He is very charming and very loyal to the Doctor. I love it when Mace sees the Terileptil for the first time he has so much fear, he clutches on to the Doctor as a small child may clutch onto their blankey for safety. According to Matthew Waterhouse on the commentary, Michael Robbins thought being in Doctor Who was the worst thing ever. He apparently was horrified about being in it. Then they all joked on the commentary that he came from On the Buses insinuating that’s hardly any better. Listen, both series are awesome! Even if Robbins didn’t want to be in it, he turned in a truly magical performance that helped cement a 10 year old into a lifelong love of the series. I was really annoyed when I tuned in the following week and they didn’t go back to pick him up. Tegan, Nyssa, and Adric are pretty good in this. Tegan, after all of this time still doesn’t grasp time travel but that is OK. She is naïve, irritable, brash but very loveable. Adric is, according to Nyssa, always getting into trouble. This poor character never had a chance even from the start. My advice to him is to find a massive spaceship and crash it into the Earth. 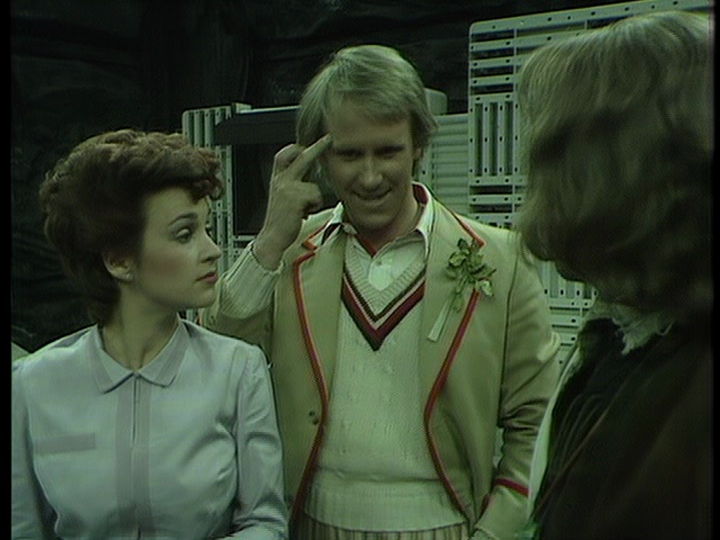 Nyssa seems to know about everything and how to do everything. She is aware about Soliton gas, knows about android technology and can build a sonic booster. 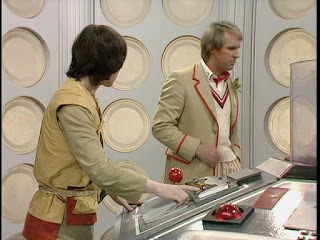 Nyssa and Adric can even fly the TARDIS! Who needs the Doctor? Peter Davison is the Doctor. He is the first Doctor I had ever seen. I am not going to get silly to go as far as becoming Steven Moffat and saying he is “my Doctor” but I am very fond of this incarnation. He was young and heroic but not in the way that every other hero was at the time. He didn’t resort to violence nor did he have a gun. 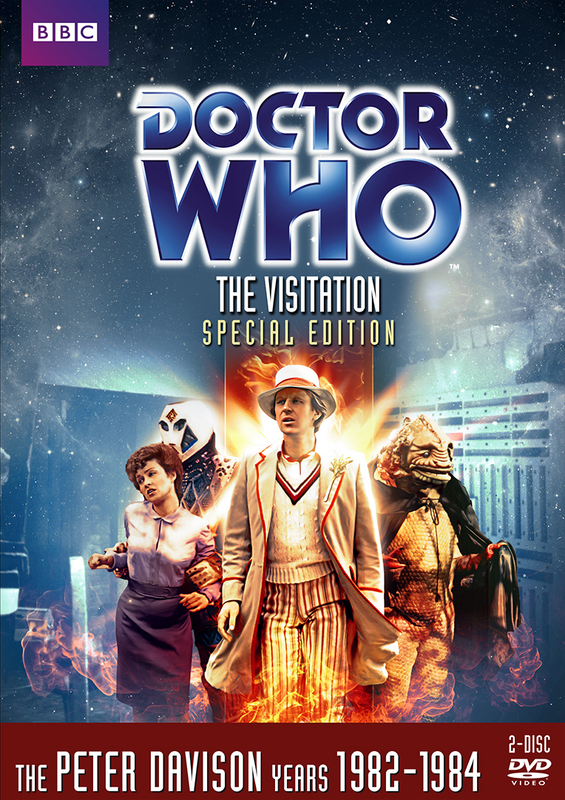 The Visitation is the second story Peter Davison recorded. He is still getting the hang of the role but that is part of the fun for the story. He gets agitated quickly, he can be condescending but it is all still charming. I have a lot of respect for the fifth Doctor and never thought of him as the “wet vet in space” as some papers did at the time. Of course the main selling point of this release is the fact that this is a brand new restoration from the ground up. 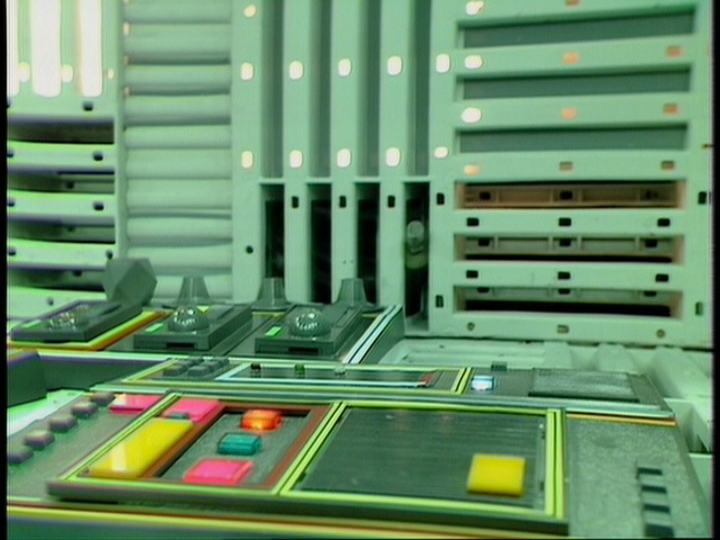 The film sequences (which there are a lot) are scanned from the negatives which make the production look lush. It is great! I had been hoping for this story to get this treatment for so long. The video shots are also good but they seem a little soft at times. I don’t know if too much noise reduction is implemented but some shots in the TARDIS don’t always look quite right. I noticed this mainly in Part One but it is nothing to lose any sleep over, plus it may just be my eyes. I noticed it while watching it on my HD set but of course it looked perfect on my SD set. Audio Commentary: In this commentary, we get Peter Davison, Matthew Waterhouse, Janet Fielding, Sarah Sutton and Peter Moffatt. This commentary was from the original release. Yes, they can be blunt but it is very enjoyable. Davison has an interesting perspective on everything. Janet and Matthew contribute but don’t always have anything interesting to say and Sarah rarely speaks at all. Film Trims: I forgot this was on the original release. It is a nice little feature that gives us a few extras moments. It’s fun watching these especially when I know the program so well; it is nice to see something so familiar yet brand new. 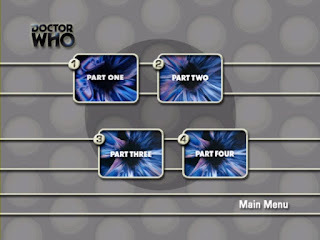 Directing Who – Peter Moffatt: Original release. Peter Moffatt was such a gentle nice man. He didn’t always understand what was going on with the scripts but he was a solid director. I know he has come under fire for some of the stuff he directed such as The Five Doctors but I think there are some wonderful moments in The Visitation and State of the Decay which are marvelous. Writing a Final Visitation: Original release. Eric has an exact way of speaking which sounds like a surgeon verbally dissecting the topic he is talking about. In the DVD range, I feel that every time he has been outspoken about someone else, he has been fair about his own work too. Here he focuses on writing this story. Remember, when he wrote this he was not Script Editor yet. Scoring the Visitation: Original release. Paddy Kingsland is interviewed by Mark Ayres. Composer to Composer. Two great minds meeting! The Feature is alright but awfully dry. Too bad really as it should have been really good. Also on this release is the opportunity to listen to the isolated score which is fantastic. There are some themes that seem very Hitchhiker’s Guide to the Galaxy which is not surprising considering the time it was made. The score has some great moments that are almost inspirational. It feels like those moments open up to some higher meaning. Listen to it when you have a chance. Photo Gallery & Production Subtitles. Both wonderful as usual. The production subtitles are new with even more information added. Where do they keep finding the new stuff? The Television Centre of the Universe – Part One: This is new and wonderful. First off, it is Davison, Janet Fielding, and Mark Strickson with Yvette Fielding hosting. This program accentuates how the three leads get along. They are old friends who went back to Television Centre one last time. I am very sore over the closure of Television Centre as you can read about it in my article of Tales of Television Centre. This is a really nice piece that walks them through their day getting ready to record Doctor Who. It’s only Part One! Grim Tales: This making of feature is hosted by Mark Strickson but that is kind of an understatement. This is very casual and loving piece about the making of the story. It is Mark Strickson hanging out with Peter, Janet and Sarah at the locations of The Visitation. They all get along so well and they have pretty good memories of the production. There are other moments with other people who made the series which is more factual base but this is really fun to watch. Look out for Peter, Janet, Sarah, and Mark re-creating a famous Matthew Waterhouse moment too! Doctor Forever – The Apocalypse Element: If you are a fan of Big Finish, this is going to be fun for you. If you are not, it’s still enjoyable but not as engaging. I am not a huge fan of the range. Not because they are poorly made but I knew I could never keep up plus I guess I prefer my Doctor Who to be visual. 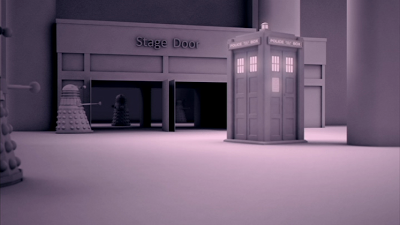 That being said, I am proud to see how far Big Finish has come and I am really happy that they have done so well. Once again, I see people online bashing Ayesha Antoine for how she hosts these features. Why? I really like her in these. She is interesting and looks to me as if she reasonably understands what she is talking about. What is the problem? Of course, there is a shot showing her recording a scene for some Big Finish production. That’s great but it just shows to me how insular the whole brand is with those who work on it. The same people crop up in everything. It seems like the same 5 people make everything for the DVD range and Big Finish. OK, I know that’s over the top. We all know the number is 7. There is also PDF materials and Sales sheet. I love these and they are essential. What do I wish was included? Continuity announcements from the time of broadcast on BBC1. I understand these might be difficult to put together…actually I don’t understand that but I personally would rather see this than some of the new content created for the range which I honestly think ties into how this brand is so insular. I think it not being on here is a very big missed opportunity. Packaging: It comes in a standard double disc Amary case with a cover by Lee Binding. 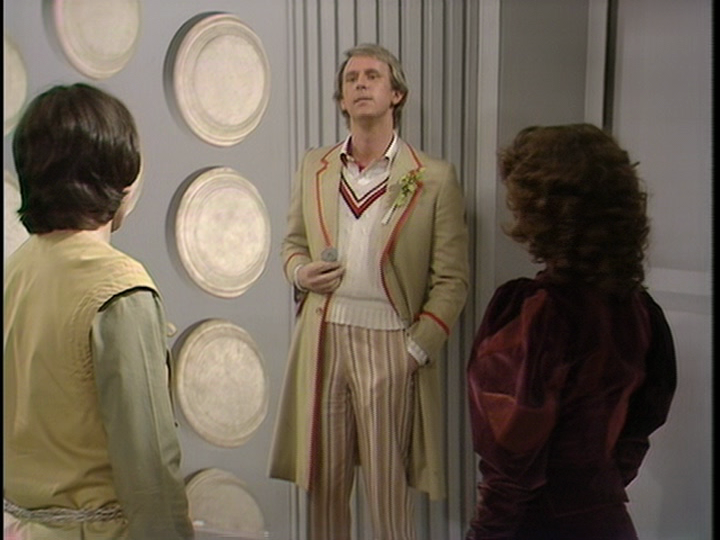 It does look like Peter Davison must be a liar because his pants are on fire, literally, but it is a zillion times better than what we had before. 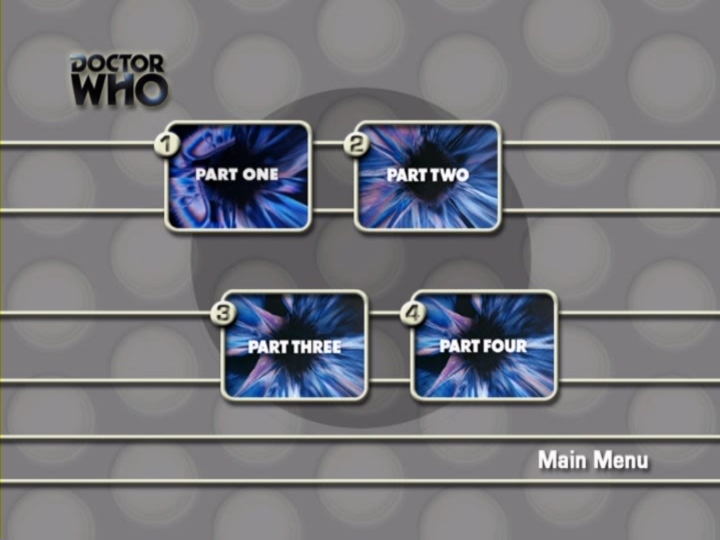 It is odd that the episode menu on the disc has screen grabs from a Tom baker story rather than a Peter Davison one. A mistake and hardly a big deal at all. I know I said I loved this story so that makes me biased from the start. If you bought this before, I think the new extras are strong enough to warrant a re-purchase. I am disappointed there isn’t anything more historical or archival items such as continuities. The Aztecs and Ark in Space had some which made the overall package sweeter. I love anything on BBC Television Centre plus I am a huge proponent for better restorations so this is a great purchase to me. If my 10 year old self somehow knew that this story would lead him to a life-long love of this series resulting in meeting people all over the world, people who worked on the series and even a chance to get a copy of the very same story from the BBC to review, he would probably crap his pants. I will leave you with that visual. This week: The actual final episode of The Good Life truly was quite the occasion. It saw the cast getting together one final time and it was so big that the audience included Her Royal Majesty Queen Elizabeth II. 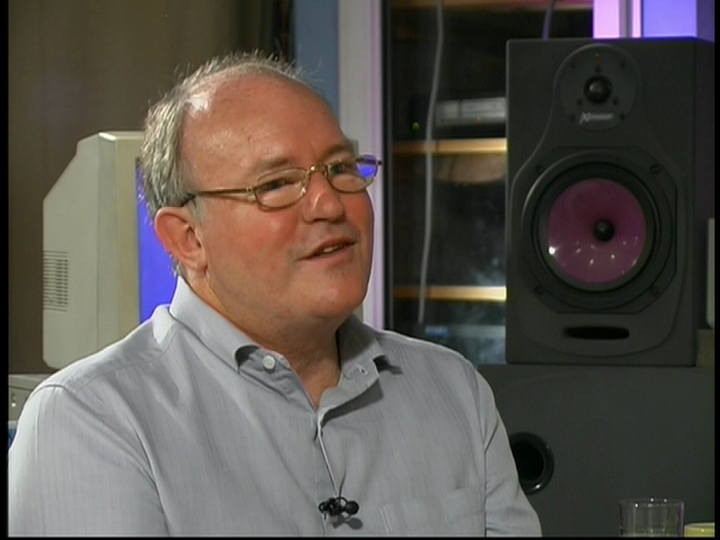 This is one of the most unique programs made as we go through the process from walking through the front door of BBC Television Centre, sitting down in the audience and watching the recording of a television program. We look at The Good Life’s final episode When I’m Sixty-Five.